Fun fact: I used to work at Tai Seng for close to two years. Then, one of my favourite places to eat was this quaint Korean restaurant which is now, sadly, permanently closed. 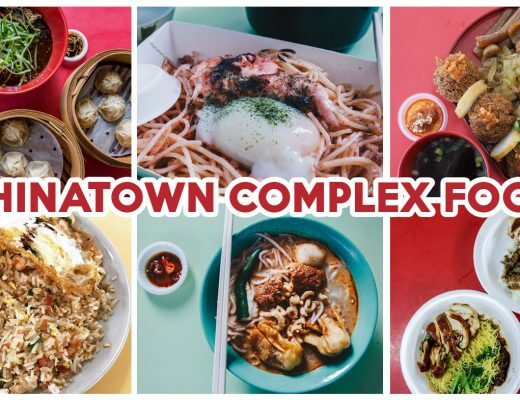 Aside from the selection of rickety kopitiams, there are actually more great eats around the area. 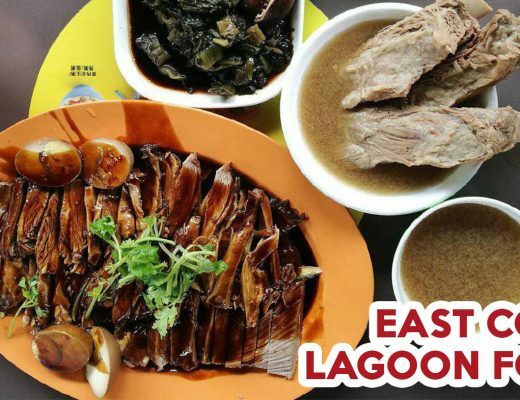 Check out these 10 Tai Seng food places that are easily accessible via the Circle Line. Look forward to Japanese-inspired pies at KobePi. Here, the house-made pies deliver a slice of comfort with their homey taste. While they may not be super cheap, the five-inch pies are generously packed to the brim, ensuring you get more filling than flaky crust. 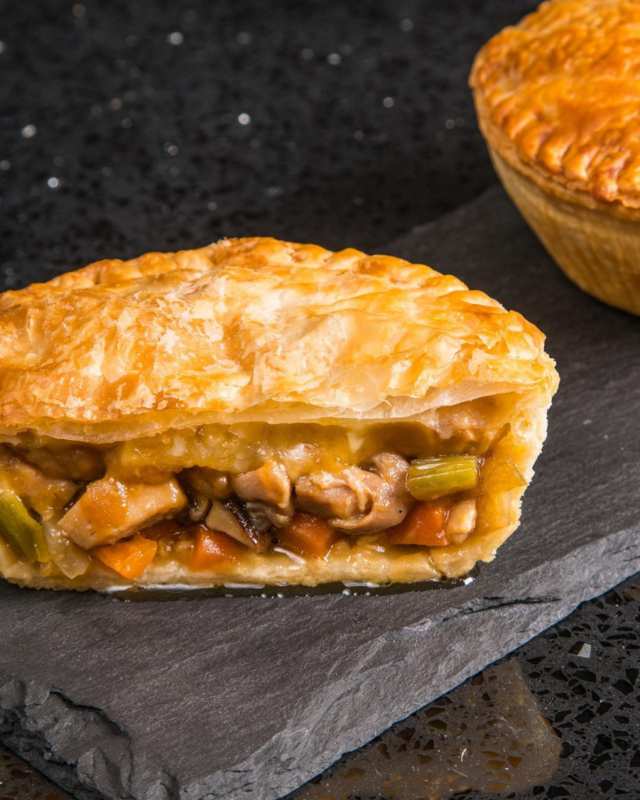 Our favourite is the Wasabi Seafood Pie ($9.90) and Teriyaki Toriniku Pie ($8.90). The latter reveals juicy chicken, celery, carrots, onions and shiitake mushrooms, all cooked in a moreish teriyaki sauce and accompanied by cheddar, parmesan and mozzarella. On the third floor of The Commerze is hidden Muslim-owned restaurant, Claw Industry. 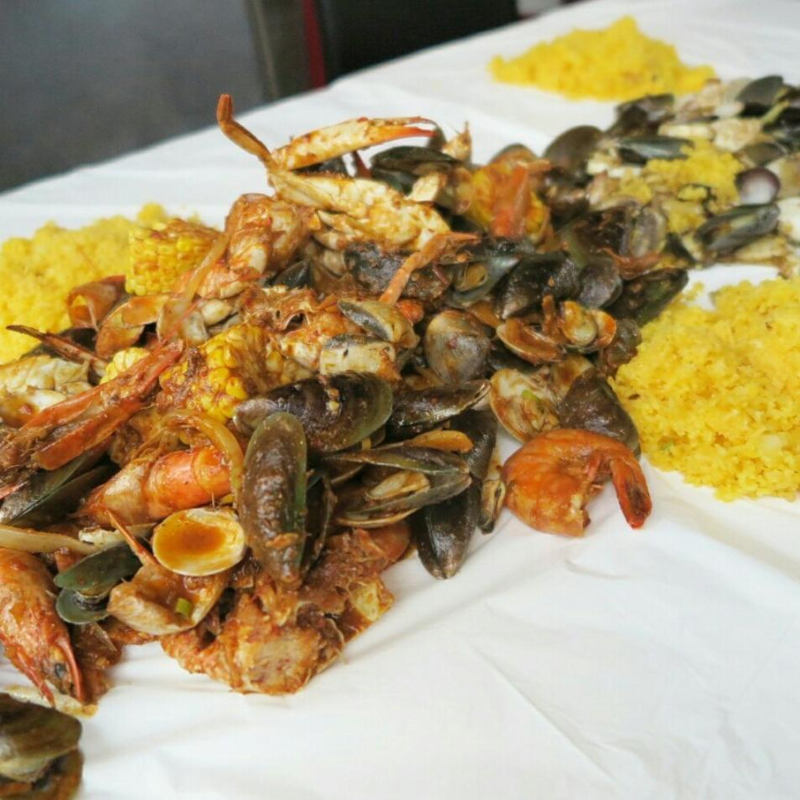 They do seafood buckets and offer a 1x Flavour Shell-Out ($17 per person), which includes crabs, prawns, squid, mussels, clams, corn, paella with garlic corn rice, and a choice of sauce. For the sauce, you get to choose from BBQ, Black Pepper, Cajun Creme and more. 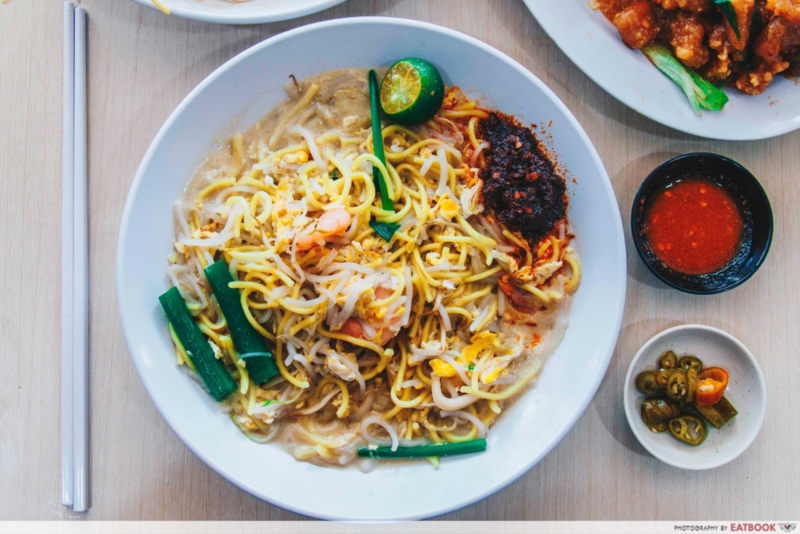 Check out these other halal seafood bucket places in Singapore! Join the fast-moving queue at Muslim Delights for their nasi padang. Each item on display is executed well, but if you have trouble deciding, we highly recommend their sambal goreng, sotong hitam and ayam masak merah. 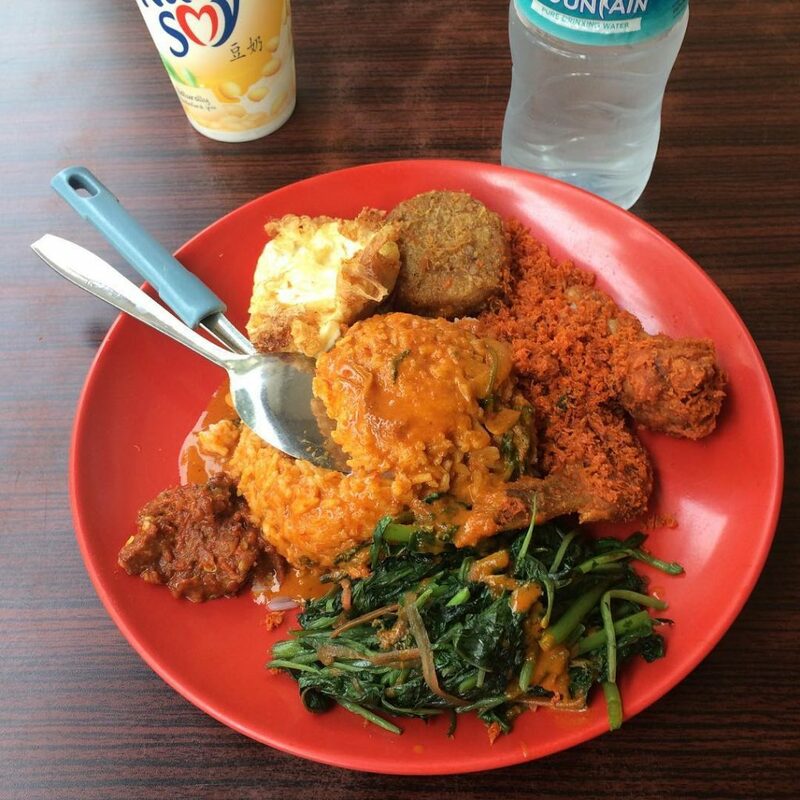 Don’t forget to request for a side of their sambal chilli! Refresh yourself with a glass of juice or fruit bowl at The Good Boys. 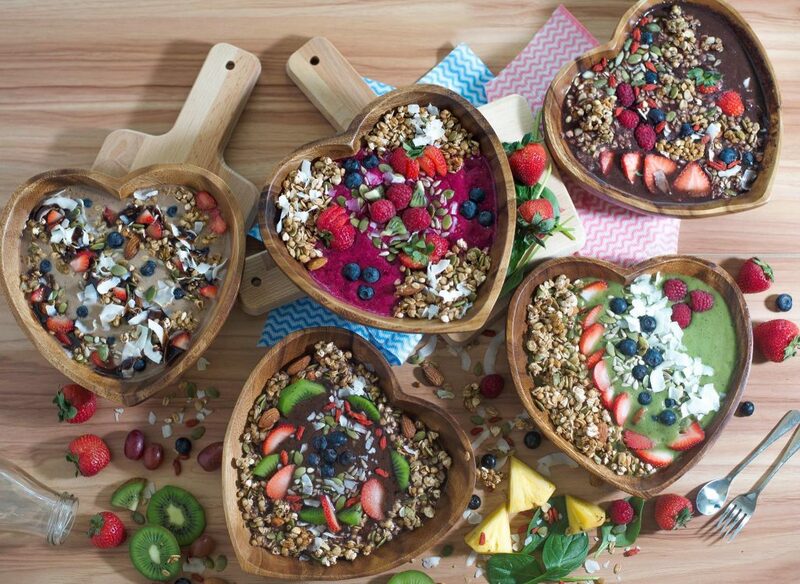 Served in a heart-shaped wooden bowl, their TGB Super Bowls are a gorgeous sight. Aside from the usual Acai Bowl ($12), we recommend trying their signature Fruity Matcha Bowl ($12) that’s made with pineapple, matcha, baby spinach, mango and bananas, and finished off with seven healthy toppings. If healthy grub isn’t your thing, they also do thin crust pizzas, double patty burgers and savoury donuts. Jie Bakery & Confectionary legit does the fluffiest bread. 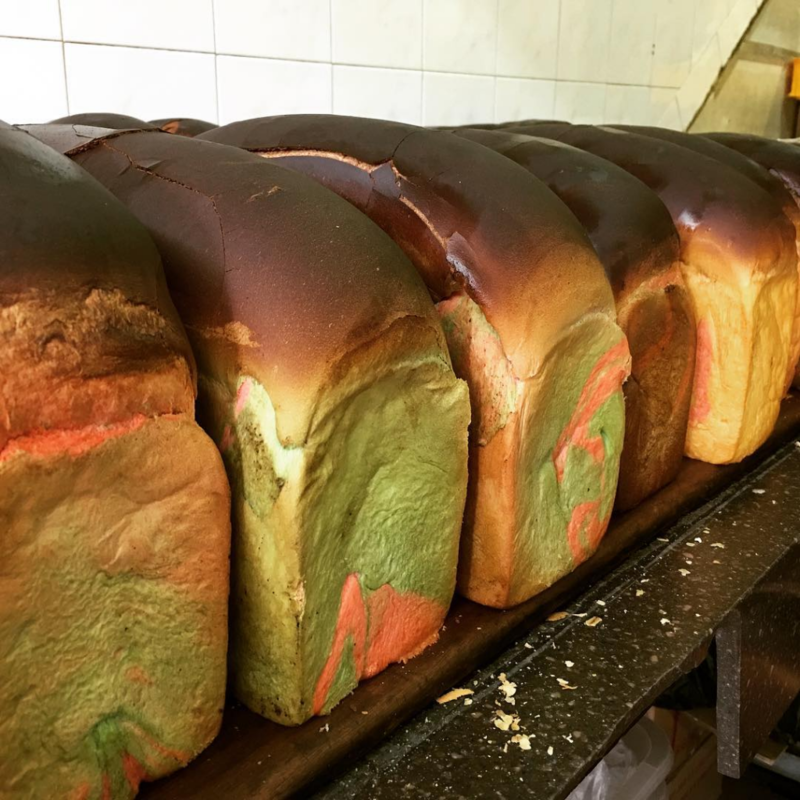 One time, my 14-year-old cousin bought a loaf of their Rainbow Bread ($1.50 plain, $2.80 with spread) and ate it all under 10 minutes like it was cotton candy. Around since 1988, the breads here are made the traditional way; they are baked till they are burnt on the top, before someone deftly trims off the crusts. Hidden at the side of The Commerze building is La Teh Cafe. The small eatery reminds me of Hong Kong’s chaa chaan teng, with no-frills bites such as Nutella Toast ($2.50) and Luncheon Meat Burger ($4). A dish that’s simple yet comforting is their HK Noodles ($6.90), where curly dry mee is served with luncheon meat and fried egg. 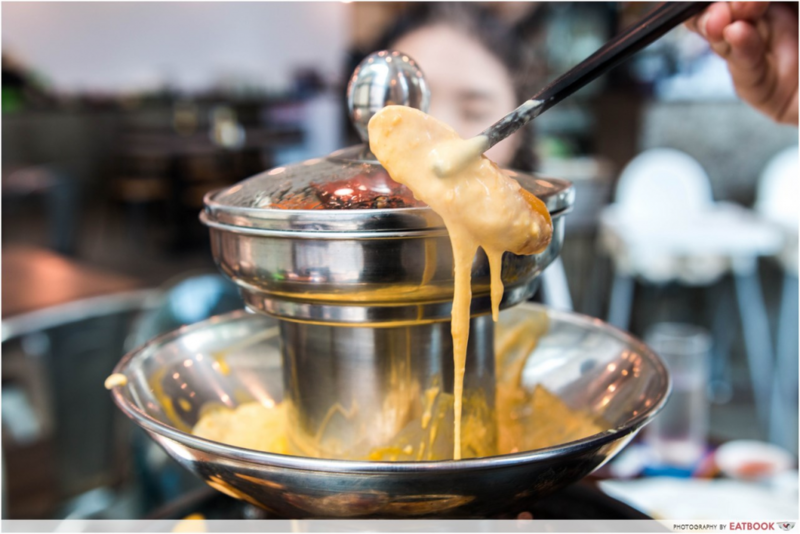 Head to halal-certified restaurant Flame Cafe for their Pagoda Steamboat Buffet. Prices start at $19.90+ for a deluxe weekday lunch, and comes with over 70 ingredients such as sliced beef and lamb. Included in the buffet is free-flowing iced Thai milk tea. Prices go up if you want to enjoy more premium items such as flower crab, king prawn, lobster, and mini pizza. Check out our full review of Flame Cafe! 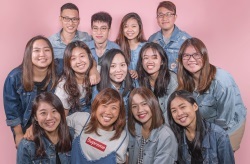 If you’re still crying over the demise of Bugis’ Tong Seng Coffeeshop and their delicious halal Chinese zi char grub, you will be pleased to find this alternative: GLC Restaurant. 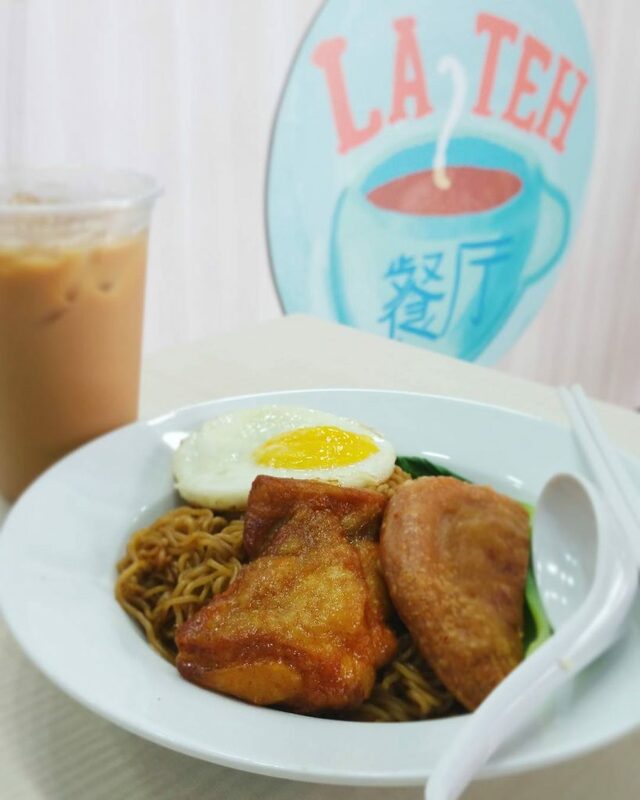 This halal-certified zi char spot is popular for their Salted Egg Chicken Dice Rice ($5.50) and Hokkien Prawn Noodle ($5.50). Everything is done well, although we wish the Hokkien mee had more wok hei. Check out our full review of GLC Restaurant! You no longer have to travel down to Everton Park for Everton Creamery. 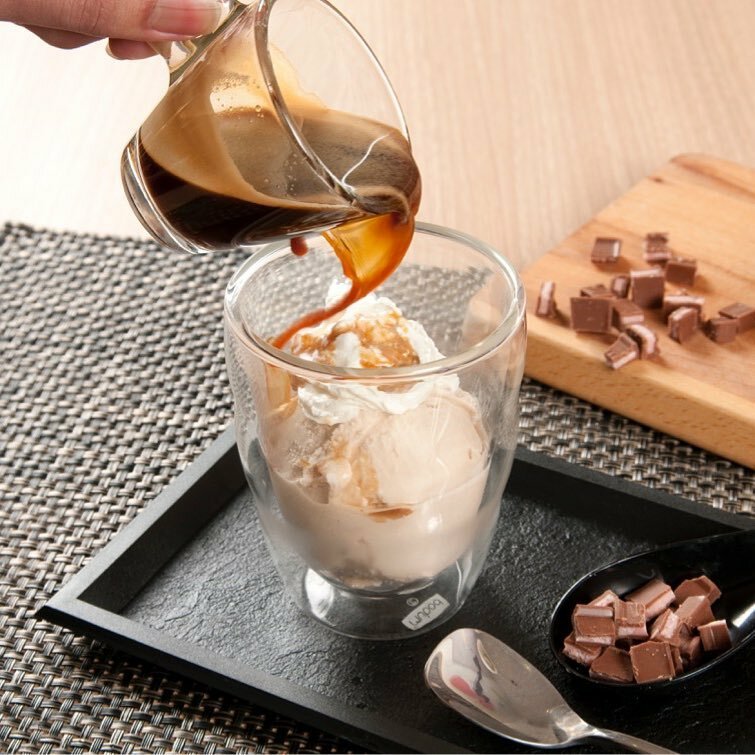 Located at BreadTalk IHQ, cool down with a single scoop, which ranges between $4 and $4.80, depending on the flavour you pick. A popular flavour to order is Pistachio ($4.80), for its nutty tang. 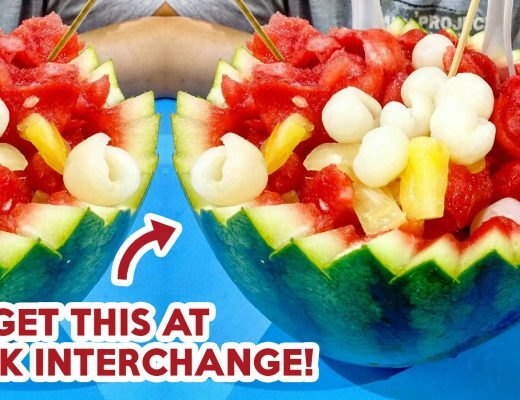 Bookmark this nifty food guide if you’re starting work at Tai Seng and need to know where to eat on your first few weeks. 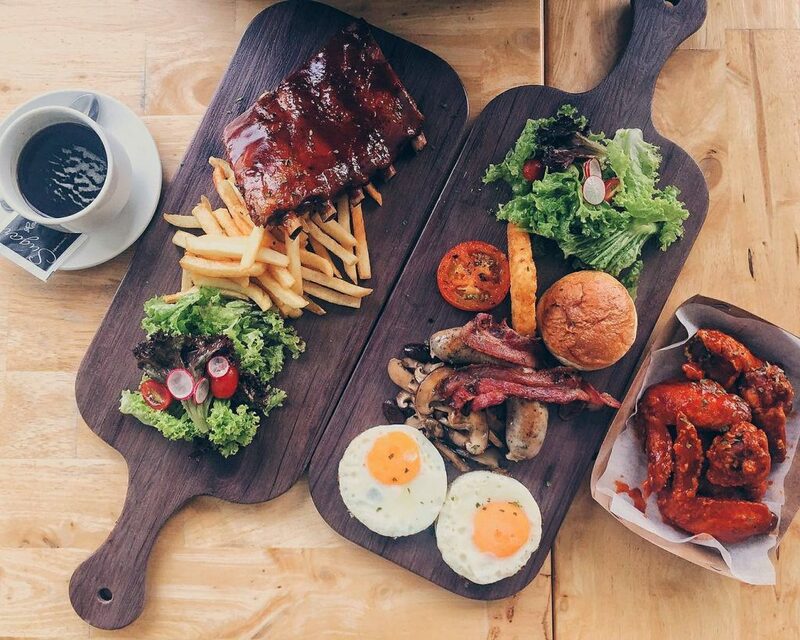 Alternatively, head down to these nearby Macpherson food places for more good nosh.